The Bhutanatha group of temples comprises of a bunch of sandstone temples, all dedicated to Lord Shiva. 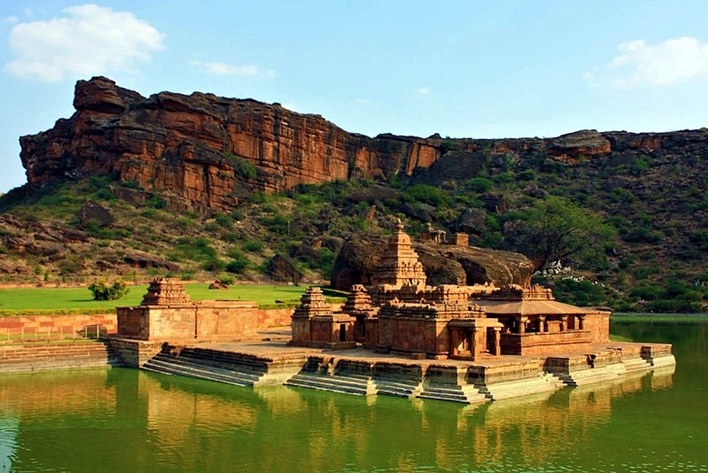 This group of temples is situated at Badami, nearby the well-known Badami cave temples. The Bhutanatha group of temples is one of the major attractions located in Badami, a historical town in the Bagalkot district of Karnataka. This little town, then known as Vatapi, was the capital of the Early Chalukyan Dynasty. The Bhutanatha group of temples includes two major temples, one on the east and the other on the north-east side of the Agasthya Tirtha or Agasthya Lake. The Bhutanatha temple is situated on the eastern side of the Agasthya Tirtha. It is one of the earliest examples of structural temples in South India. This temple was built during the reign of the Chalukyas of Vatapi, as Badami was known then. Later additions were built by the Kalyani Chalukyas of the west. The Bhutanatha group of temples came under the influence of Jains for a period of time. Later, it was taken over by the Lingayats who installed a Shiva Linga in the shrine and a Nandi in front. The temple on the north-east side of the lake is the Mallikarjuna Temple. It belongs to a later period and it was built during the reign of the Western Chalukyas. The Bhutanatha TempleThe temple on the east side of the Agasthya Tirtha is the famous Bhutanatha temple, built in the style of the early Eastern Chalukyas. The style is a blend of North Indian and early South Indian temple architecture. This temple seems to have been built in two stages. The inner hall and the shrine reflect the style of the Eastern Badami Chalukyas, while the outer hall represents the style of the Kalyani Chalukyas of the west. The inner hall has massive pillars and the bays are decorated with lotus designs. On one side of the doorway of the shrine stands Goddess Ganga, riding the makara, while on the other side is river Yamuna. She is depicted as riding the tortoise. The Shiva Linga in the shrine is believed to be of a later date, put in by the Lingayats. Mallikarjuna Temple The Mallikarjuna Temple that lies northeast of the lake definitely belongs to the period of the later Chalukyas, the Chalukyas of Kalyani. It has the tiered pyramid structure characteristic of Western Chalukya Architecture. 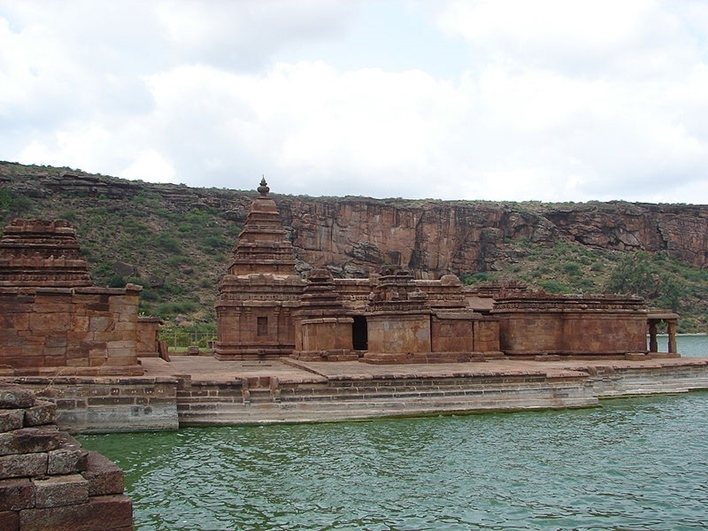 Badami is a great tourist spot for its temples, history, and architecture. You can reach Badami from most places in Karnataka by bus. Badami also has a railway station. 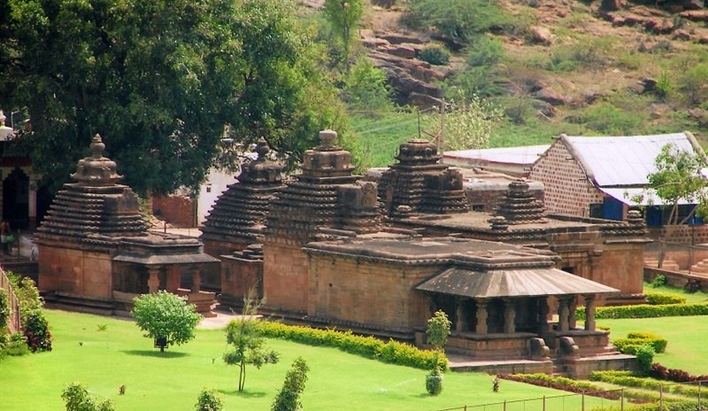 Belgaum, located 150 kilometers from Badami, is the nearest airport.